The Toronto Food Policy Council (TFPC) was established in 1991 as a subcommittee of the Board of Health to advise the City of Toronto on food policy issues. In doing so, the TFPC connects diverse people from the food, farming, and community sector to develop innovative policies and projects that support a health-focused food system, and provides a forum for action across the food system. FAO is a specialized agency of the United Nations, FAO leads efforts in over 130 counties worldwide to achieve food security to ensure that all people have regular access to high-qualityfood, ultimately increasing the resilience of livelihoods to threats and crises. 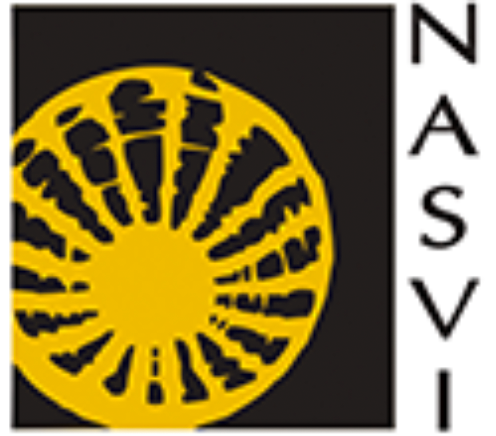 NASVI was formed in 1998 by bringing street vendor organizations across India together to collectively make macro-level changes to support the tens of millions of vendors whose livelihoods are threatened by anachronistic laws and ambiguous and constantly changing policies. Street Food Global Networks was created in 2012 as a space link multidisciplinary academics, non-profit professionals, public managers, and organizations who are involved in the street food trade to share, develop, and implement best practices, instruments and strategies to foster innovative policies to ensure the sustainability of street food vendors worldwide. The goal of The Street Vendor Project is a to create a vendors’ movement to not only improve the livelihoods of street vendors, but also to ensure a liveliness of the city, which is done through the combination of raising public awareness, publishing reports, providing legal representation, and advocating on behalf of the marginalized who groups attempt to earn a living by vending in New York City. Founded in 1997 by a group international activists, researchers, and development practitioners, WIEGO is a global research and policy network aimed at improving the status of working poor women in the informal economy, such as street food vending, by ensuring equal economic opportunities and rights through the development of more equitable trade, labor, urban, and social protection policies. The MUFPP is an international pact signed by 173 cities from all over the world with more than 450 million inhabitants. 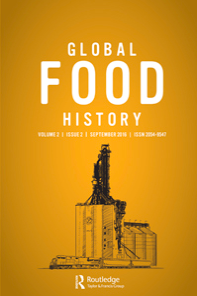 The Barilla Center for Food & Nutrition Foundation (BCFN) analyzes the complexity of current agri-food systems and, through a variety of initiatives, fosters change towards healthier and more sustainable lifestyles in order to achieve the Goals set by the United Nations 2030 Agenda for Sustainable Development (SDGs). 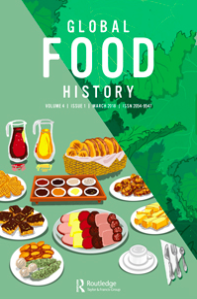 See their latest publication, Food & Cities, that was undertaken in conjunction with MUFPP. 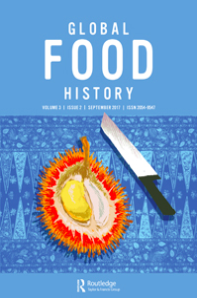 Below are a few special issue journals focused on food and cities published by Taylor & Francis group.